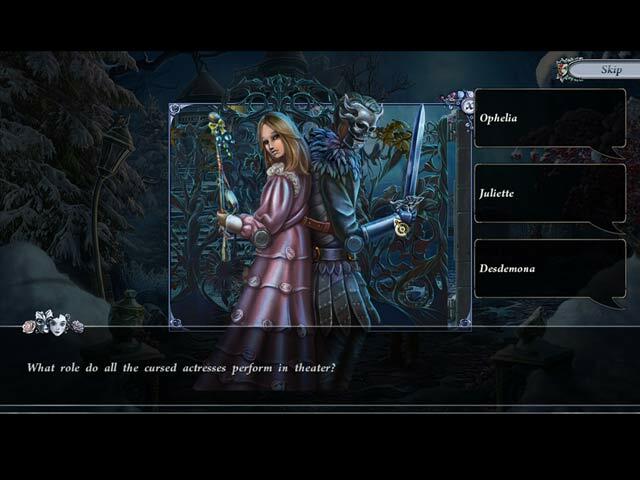 PuppetShow: The Curse of Ophelia is rated 3.7 out of 5 by 9. Rated 5 out of 5 by oO0AdATbF from This Great Series' Rebirth I swim with the fish that have regretted the recent entries in this one-time terrific series. 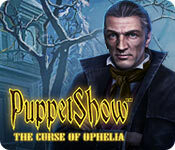 Now we have something to grab back onto: PuppetShow - The Curse of Ophelia. The mechanics and the like have been described quite well by others here. Can't rate the music (muted it) and if I'm looking for a real good story I typically read a really good book. PuppetShow, it's great to have you back. Rated 5 out of 5 by tacgof from Better late that never... I bought the CE version and just finished. I had waited to buy because of the bad reviews. I have every PuppetShow games and was beginning to get disappointed... but this one blew me away! It was like playing one of the first PS's and kind of like MCF. I played slow and had so much fun with the collections and story. I went away from all HOPA's for over a year except MCF even though I HATE EPIX. They are just so-so now, IMO. I went into Time management games instead. 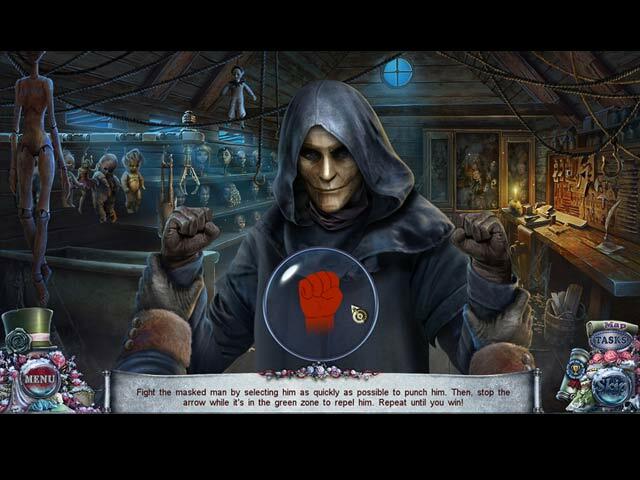 This current PuppetShow has brought me back to hope in HOPA's. I will start trail versions again on other games, and I hope I come across another one like this one again soon. Enjoy.. play what you love and have a blast! Rated 5 out of 5 by BooksandGameFan from Bravo ERS (AMAX) Games, well done indeed! I thoroughly enjoyed playing this game it was so much fun! It's by far better than the last 2 or 3 Puppet Show games, much more like the original games. You can tell a lot of thought and hard work went into the making of this game. 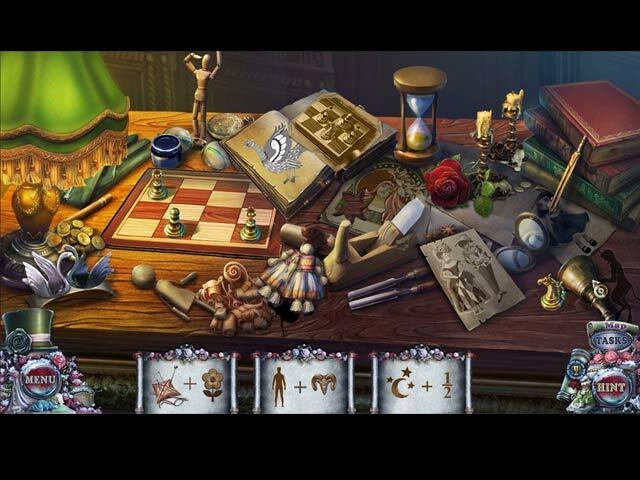 The hidden object scenes were very diverse throughout the game and the ones where items were actually hidden the objects were not just thrown out in plain sight you had to do a little searching. The games were fun and different from what you normally see in these types of games. They too were very diverse. I love ERS because they are almost always straightforward and logical and you aren't running all over the place trying find things that have been so well hidden it becomes frustrating. There was a story and it remained throughout the game, you actually learn a little more and more as you play until you have the whole picture. There's never a time when you don't know why you are doing what you are doing or what's going on. In other words a cohesive storyline. You do have a little slightly scary yet adorable little doll as a helper but you do not use her very often. I love having a little helper but I know many do not. She is not intrusive and like I said before she's not used all that much. This game was by far better than many I've played or demoed recently. I did not find one missing zipper pull, I did not have to oil anything rusted and I wasn't searching all over for amulets and keys to open EVERYTHING! The only flaw for me is the music, for the most part, I'm not overly fond of the music it does tend to make me feel anxious, really no biggie I just turn down the volume for a bit. Fun, relaxing, highly enjoyable game that I highly recommend! Other games by this game designer that I really enjoyed and if you haven't played them you might want to give them a go are. The first 3 Puppet Show games: Mystery of Joyville Souls of the Innocent Lost Town PuppetShow: The Price of Immortality, I know many here didn't care for this game, I Loved it! Redemption Cemetery games Curse of the Raven Children's Plight Grave Testimony Redemption Cemetery: Embodiment of Evil 5 stars! Spirits of Mystery Games Song of the Phoenix The Dark Minotaur Spirits of Mystery: Illusions 5 Stars Azada: In Libro Forgotten Books- The Enchanted Crown | Queen's Tales: The Beast and the Nightingale Sins of the Past Grim Facade and Haunted Legends Games. I loved just about all of them! Rated 4 out of 5 by sdemers from Love Puppet Show I enjoy playing puppet show yes a couple I didn't care for but this one I loved I wished I got the collection but fun all the same. Rated 3 out of 5 by Granny_Gruff from When Is a Windup Doll a Puppet? You were wanting to visit your cousin Angela anyway, but when an urgent letter arrives from her husband, Leroy, you hurry to her home. Leroy wrote that she was dying of a curse and you hope to be of some help. Leroy thinks the curse was brought on by a mechanical doll she received while she was rehearsing the part of Ophelia at the theater. Good stuff: There are all the elements you expect from a PuppetShow game - people in bad masks, a theater, and some semblance of a story. There are also lots of dolls in this chapter in the series. There are HOPs, mini-games, puzzles, and decent artwork. Bad stuff: The story leaves much to be desired in the way of logic. You arrive at Angela's home in time to see a masked figure threatening her through the front door. As you run around the front yard completing tasks to get inside, heavy black smoke seems to be escaping from the doors and windows of the house. Opening that front door you are looking down a long hall to Angela's bedroom. So how did you see that masked figure? Was he just posing near the front door for your sake? Where did the smoke come from and where did it go? More to the story line, why a masked figure if this was a cursed doll problem? And why threaten a comatose patient? Leroy sent you a key to get in the house as he doesn't want to leave the comatose Angela even to answer the door, but then he goes with you to the theater, leaving the house wide open! (Wait. Where was Leroy when she was being threatened by the masked figure?) There is so little engagement with the other characters, there is no reason to care what happens to them. While the game is better than the latest disappointing offerings in this series, it also seems as though it should be in a different series altogether. The "cursed" doll is a windup toy rather than a puppet and the only other animated figures in the Demo were part of a door lock. The last few PuppetShow games were so bad that this one almost shines in comparison. Unfortunately that only makes it average at best. Please try the demo to see if this is a buy for you. Rated 2 out of 5 by bessiegirl from Better than the last Puppetshow but.... This one was better than the last. I almost didn't buy it but the demo seemed good. However, it turned out this was a very awkward game in my opinion. Options allowed you to change the hint and skip time which was good because the puzzles were not well explained and could be confusing and tedious. The HOS were not always clear as to what to do; almost like a developer was trying to create something different, but never quite got it right. The storyline basically got lost amid all the wandering around and an inventory which got way too full. Instead of a fun, smooth play, I spent time just trying to figure it out just what I was suppose to do. The transporter map was also awkward. Actually if I had paid full price I would have felt not worth money spent, but since I got it with a credit I'll just chock it was a bad mistake. I think its time to end the Puppet show series. Rated 2 out of 5 by whimzzee from Disappointed I was so disappointed with this game I had to write my first review after playing HO for years. The puzzles were very simplistic, the storyline left me wondering who could write such drivel, and play was repetitive. There were attempts to add a bit of change to the hidden object scenes but they just seemed tedious rather than intriguing. I use to love this series but I suggest it be retired.